Melody Beattie’s Codependent No More: How to Stop Controlling Others and Start Caring For Yourself is one of the bibles of the recovery movement and it reflects a sentiment that's a product of an age in which the jargon by which some relationships end is an assertion of psychic real estate, “I need my own space.” Everyone wants to be free to maximize their potential (it’s virtually an epidemic) and dependency is looked at as a straightjacket that inhibits individual growth. But actually dependency can be loads of fun. If Codependent No More sold millions of copies, the anti-Christ for dependedaphobes might be CoDependent Yes More. One of the basic tenets of such a volume might be that being entwined and enmeshed produces shared memory and experience. Today many married couples live separate lives. There are many couples who see each other less than people who simply date. Everyone is so busy fulfilling their potential that they have no time for each other. Nothing is deemed more horrible than one person sacrificing their chance to be the person they always wanted to be for the sake of the relationship. But is being the person you always wanted to be always so great. 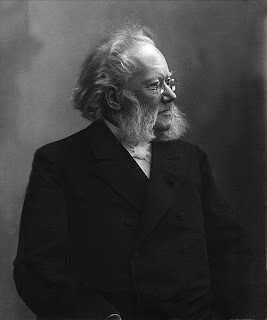 As far back as the l9th Century, Henrik Ibsen realized that self-realization could be a two edged sword. A Doll’s House shows the negative side of co-dependency, but Ibsen seemed to become chastened by his own experience. Later plays like The Master Builder are ambivalent towards the search. Striving for greatness, which can be the obverse of self-hatred, is not always what it’s cracked up to be. Solness, the creative who is the hero of Ibsen’s Master Builder who seeks to build “castles in the sky,” also resembles Icarus whose wings melted when he flew too close to the sun.